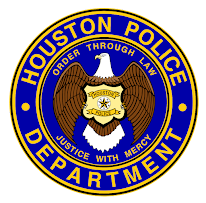 I will be providing eight video clips over the next few days that will highlight the beginning of the Houston Police Academy. These clips should give you some insight on what academy life is like. 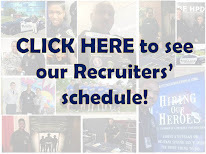 I receive numerous emails everyday from potential applicants wanting to know what it is like to be a Houston Police Cadet. Of course, you may also experience it for real by applying today. Maybe you will see yourself on the video clips about the academy in the future. Cool! I want more! When will you post the next "webisode"? I like seeing what you look like. I have emailed you before, now it is nice to have a face. I'm the guy that keeps asking about K-9. When I get my degree, I am joining HPD...hey maybe I should be a poet! Love the post Officer McCoy. This will answer several questions - great idea - and, again, you are making HPD feel real and personal. Thanks. I have a question, do you have cadets fail the academy.....I am on the older side age 38 I have been running trying to prepare for the academy is that enough or will the academy help me get where I need to be physically....? I AM IN THE ACADEMY RIGHT NOW AND PUSHING 40. IF YOU PREPARE YOURSELF MENTALLY AND PHYSICALLY YOU CAN DO IT!! THE ACADEMY IS NOT EASY, BUT IF YOU REALLY WANT IT LIKE I DO, YOU WILL MAKE IT. I told you. 40 is the new 30. Way to go Cadet. Keep it up and I will see you at graduation!